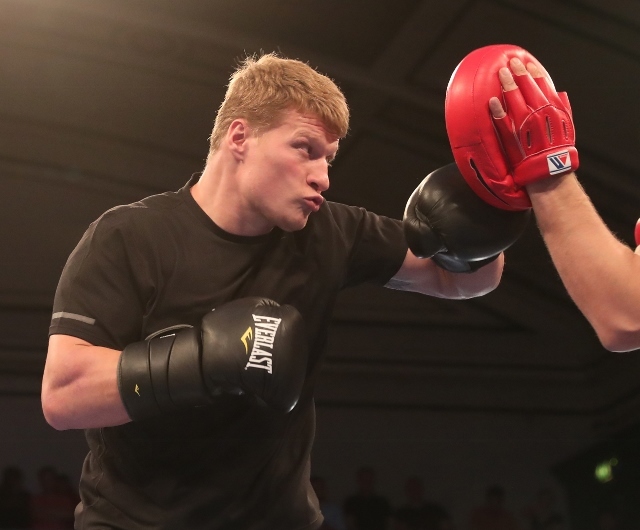 Russian heavyweight contender Alexander Povetkin is ready and willing to fight anyone in his upcoming return. According to World of Boxing Executive Vadim Kornilov, Povetkin has agreed to fight cruiserweight king Oleksandr Usyk, British contender Dillian Whyte or dangerous Cuban punhcer Luis Ortiz. Povetkin's next fight is slated to take place on May 18th in Chicago. Initially, Povetkin was being lined up to fight Usyk, but the two boxers are heading into different directions for the moment. The contest between Usyk and Povetkin is still expected to take place, should both boxers be successful in their scheduled bouts. Usyk is now being positioned to make his heavyweight debut against Carlos Takam, who Povetkin knocked out several years ago. Povetkin has been out of the ring since last fall's knockout loss at the hands of IBF, IBO, WBA, WBO champion Anthony Joshua. “Povetkin gave his consent to make a fight with Usyk, Whyte or Ortiz. Now we are waiting for the decision of the other side,” said Kornilov to Vadim Kornilov. Povetkin, an Olympic gold medal winner and former WBA champion, is near the end of his career and this may the final year of his pro run. Earlier this month, the World Boxing Association (WBA) ordered negotiations to take place between Usyk and former IBF and WBA cruiserweight champion Denis Lebedev, who now has the status of “champion in recess” according to WBA. Usyk has yet to give up any of his four cruiserweight belts - as an insurance policy in the event of a snafu with his heavyweight invasion. So Usyk and Whyte are not currently available for Povetkin. Is the Ortiz vs Povetkin fight being negotiated? Is this a DAZN or Showtime, if it happens? How many current heavyweights have better resume than Wilder? Just imagine if they fought and beat Luis Ortiz.